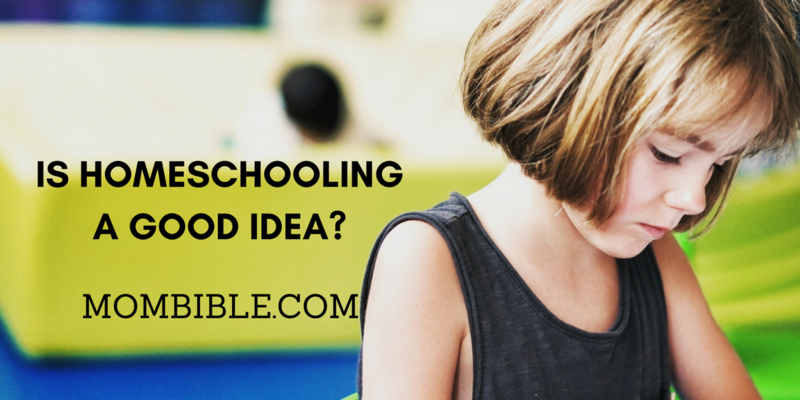 Home » Kids » Learning » Is Homeschooling a Good Idea? To teach your child from home requires commitment and independence. It is not an easy task, and it is definitely not the right path for every family. There are several pros and cons that accompany this alternative route to education. Being the person who is in charge of your child’s schooling can be an ultimately rewarding experience, but is it the right choice for you? The foundation of homeschooling begins with reason. What is the reason behind your desire to homeschool? Perhaps the schools in your vicinity will not be suitable for your child’s needs. Several parents believe that children can actually learn more through homeschooling because the curriculum will be tailored to their needs and at their own pace. This is an advantage as opposed to getting lost in the system of a traditional public school. Maybe the family must travel a lot, and homeschooling will be a method of teaching that can accommodate this lifestyle. Having the flexibility to make your child’s learning schedule can come in handy while on the move. Even if you are staying put, homeschooling gives you the advantage of customizing the learning experience. Will your child be socialized? One of the main stigmas attached to homeschooled children is their ability to meet other children. It is often thought that since there will be no exposure to public school, there will be no way to make friends or learn how to interact with others. This does not necessarily have to be true. Although your child will be spending a majority of the experience without being surrounded by peers, extracurricular activities can help. By enrolling your child in a dance class or a sport that is not attached to any sort of educational establishment is a way to incorporate the social aspect into their lives. Connections can be made anywhere, not only in a classroom. There are also options such as the Boys and Girls Club or the Scouts for an additional opportunity to bond with peers. Is there time in your life to be a parent and a teacher? Generally, one parent needs to stay at home in order to make homeschooling an option. If you have a job that allows for you to work from home, or if you have the opportunity to turn your entire attention on teaching your child, then homeschooling could be a good option. There are homeschooling groups that are often comprised of small groups of children where one parent will be devoted to teaching, but this can be unknown territory because you will not be the one providing the curriculum. Many homeschooling parents feel that the best way to approach the situation is by taking it into their own hands. Just like any alternative method, homeschooling comes with its fair share of stigma and curiosity. While you may feel that you are constantly defending your decision to homeschool your child, you must also take into consideration the questions that they will receive as well. Plenty of people do not understand the benefits of homeschooling and can often view it in a negative light. This opens up the possibility of bullying, as well, because parents who do not understand homeschooling will likely raise children who do not understand it. To ease a little bit of this negativity, instill pride in your child from the beginning. Explain that while traditional schooling is a great form of education, homeschooling is just as valid. When your child has the confidence to talk about their educational path, it could shed some light on the situation to those who are not so certain. One of the biggest reasons that homeschooling can benefit a child is by taking away many of the stressors that they would encounter in public school. Your children will have the advantage to be themselves and express their identity without being placed into a categorized system. You will become very well-acquainted with your child, noticing their development rapidly and watching their interest’s peak. Not being in a traditional school can also eliminate any form of peer pressure that tends to arise as a child grows up. Being homeschooled means having to create your own thoughts and make your own decisions. Since homeschooling is a hyper-focused form of education, the curriculum can be altered and even extended to fit your child’s needs. If you see that your child begins to excel rapidly, you can jump forward into the curriculum as needed. Plenty of parents that have homeschooled their children see the advantages when it comes to being able to control the rate of learning. Several homeschooled children have the opportunity to finish their schooling faster than other kids, giving them a head start on college and other areas of life.